Muted response from its TIFF premiere back in 2017. Self-aware, with strong supporting players. Wildly uneven, but more endearing than not. Brie Larson directs and stars in this enjoyably idiosyncratic comedy about realising your childhood dreams. Brie Larson’s feature-length directorial debut, Unicorn Store, centres on a grown woman and her pursuit of a pet unicorn, and if that short logline immediately sets alarm bells ringing in your head, this store is probably not worth visiting, even for a brief perusal of its goods. But for anyone left more curious than turned off, this portrait of the clash between childish things and adult pursuits has some merit, even if its wild veers in tone don’t always work. Larson plays Kit, who drops out of art school after receiving a failing grade for an assignment for which, in contrast to the minimalism preferred by her professor and peers, she favoured the cutesy sunshine, rainbows and unicorn stylings that have characterised her drawings, paintings and general creative preoccupations since early childhood. Back home with her parents (Joan Cusack and Bradley Whitford), Kit takes a temp job at an ad agency in an attempt to escape despondency. Her dreams are dashed, and she’s being blatantly sexually harassed by her new boss (Hamish Linklater), but hope arrives in the form of a mysterious, flamboyant salesman (Samuel L Jackson, having fun riffing on Willy Wonka) who claims to be able to help Kit adopt a real-life unicorn, pending her completion of various tasks and instructions. 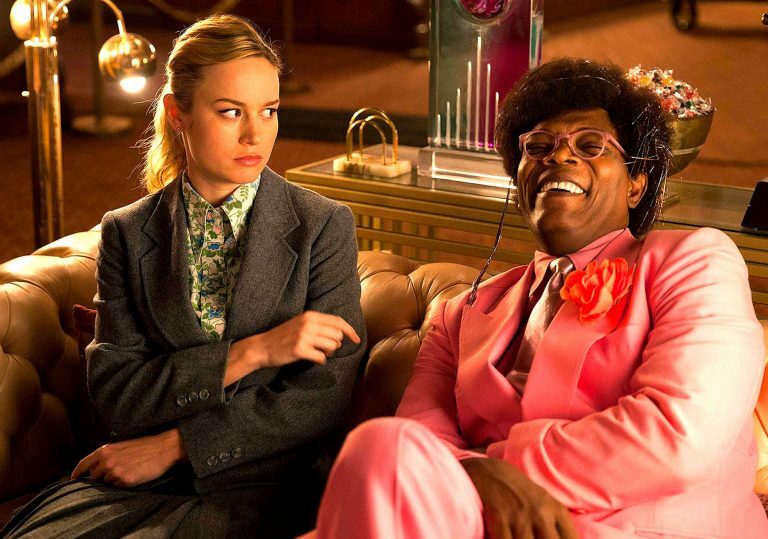 There isn’t anything particularly visually distinctive about the direction of Unicorn Store, but Larson is by far the film’s most valuable asset. She is such a warm and open presence, able to sell both what could have been an unbearable character and some of the more mawkish dialogue in Samantha McIntyre’s generally self-aware screenplay. That said, the film’s best performance comes from its least famous supporting player. Mamoudou Athie, best-known for his roles in Patti Cake$ and the short-lived Netflix series The Get Down, shows perfect comic timing as romantic interest Virgil, a hardware store employee who becomes a confidante concerning Kit’s pursuit of happiness. By the nature of her character, Larson has to go big and chatty, but Athie, when playing off her, frequently orchestrates a series of non-verbal emotions that make their relationship feel believable even when the circumstances for its existence do not. During one centrepiece comic sequence, a character posits, when faced with Kit’s pitch for a marketing campaign, “Does this read a little childish?” It’s a question you might ask of the film itself, which, with certain plot developments, ventures towards the territory of Drop Dead Fred or Mr Magorium’s Wonder Emporium, albeit with a few more subplots concerning identity theft and office-based sexual politics. An appealing factor to Larson and McIntyre’s sincere exploration of free-spiritedness lies in their wrestling with the importance of understanding – or indeed celebrating – how our adolescent interests shape our personal growth. But they also acknowledge that the ideas and objects we cherish in childhood can’t hold the same power forever. Additionally the film touches on the role that loving support systems have in enabling our creative pursuits, both for better and for worse. Its exterior may be splattered in pink and glitter, but there are shades of grey beneath Unicorn Store’s surface. 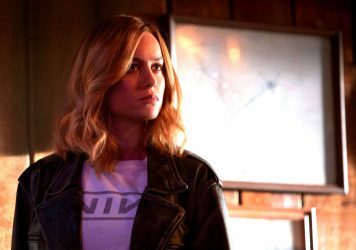 Brie Larson is great as Carol Danvers, but we’d hoped for slightly more from Marvel’s first female solo superhero movie. The Free Fire actor will play suffragette Victoria Woodhull who ran for office in 1872. A barnstorming performance from Brie Larson elevates this bittersweet foster care drama.